During the hot Summer months nothing, and I mean nothing, beats an ice cold drink. Also, during this time I don't have work since school is out for break and Tracy has more days off then too. We like to mix together a cool drink in the morning and refrigerating it until lunch. Lunch usually consists of some kind of sandwiches and with our fruity drinks we like to eat lunch out on the deck. At lunchtime it is still a shady spot so we can avoid the heat of direct sunlight. But sitting out the deck we can observe all kinds of cute creatures. We love watching the beautiful cardinals and blue jays flying about. Also a huge bunny family lives nearby so they are constant visitors. Then there are the squirrels and the deer that frequent the place too. So we enjoy a nice lunch, good conversation, and cute animals. 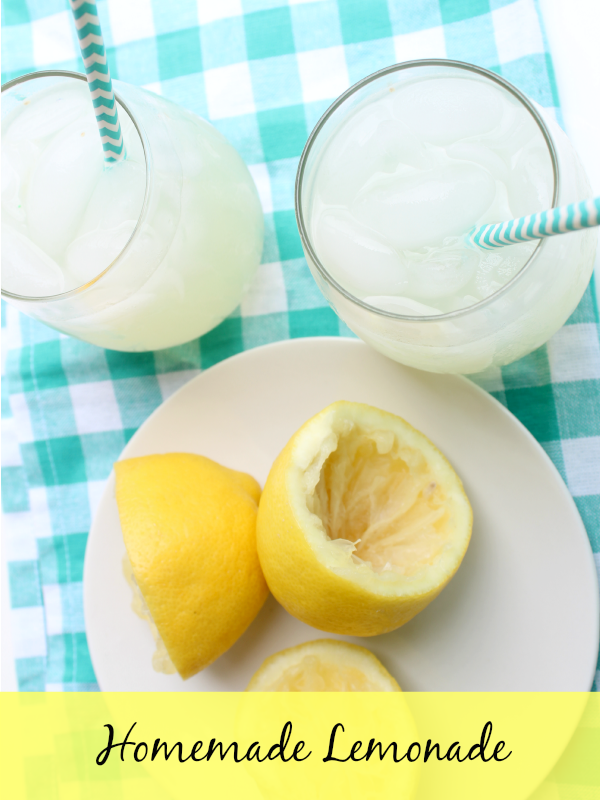 One Summery drink that Tracy loves in lemonade. She drinks it all the time. She doesn't drink soda, so lemonade is a favorite of hers. Whenever I go to Chick-fil-a she always requests a large lemonade. She thinks theirs is best because it isn't too sweet favored. 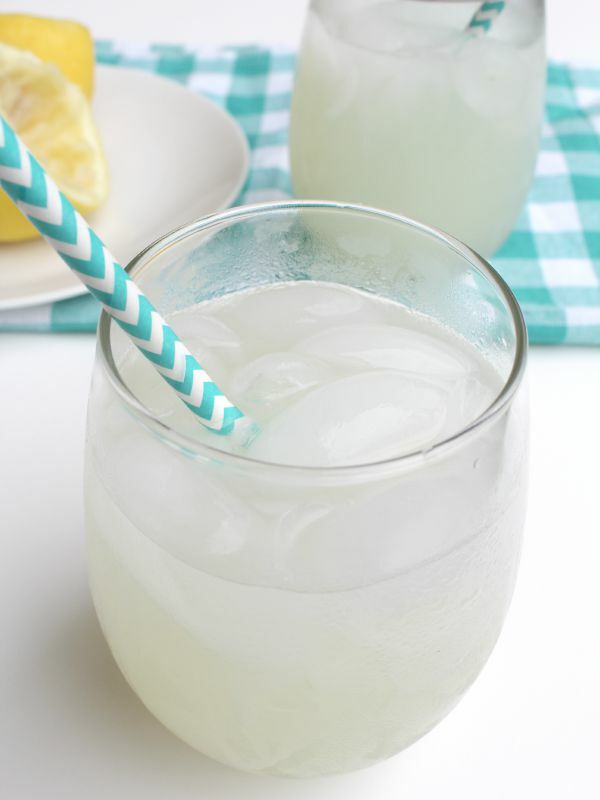 So when I was making this lemonade recipe, I only used a cup of sugar and it turned out just right, not too sweet. If you prefer it a little on the sweet side you might need to add a little more sugar. So make the recipe and then taste test to see what you want to do. If you love lemon flavors then you also need to try Lemon Crumb Cake, Luscious Lemon Velvet Cake, and Lemon Brownies. They all have a delicious, light flavor. 1. You will need to squeeze the juice from your lemons, it took me around 12 lemons to get the right amount of juice. 2. In a pitcher mix the lemon juice and sugar together. Stir until the sugar is dissolved. 3. Then add the water. Stir together. Omg! It looks yuuummm! Really I want it now! Wonderful post dear! 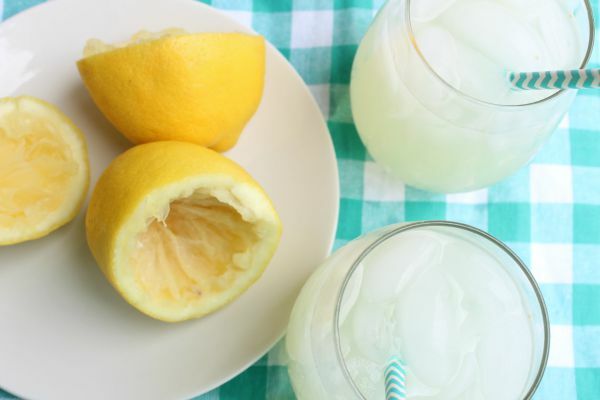 I absolutely love home-made lemonade and anything flavoured with fresh lemons. I must check out those links especially the lemon brownies which sound interesting! Looks very refreshing, and as always, I love your food (and drinks) photography.